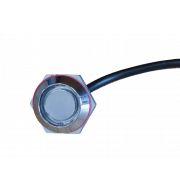 Magnetic reader for easy implementation of an access solution to 1-Wire base. With this technology you can implement a simple and efficient access control system for your own home and/or business at an unbeatable price - performance ratio! To use the electronic key reader simply mount it in the wall on panels or enclosures . The electronic key reader is suitable for installation in panels or enclosures to 10mm (.39 in) thickness and a through-hole diameter of 20mm (.78 in). Use at higher voltage matching series resistor. 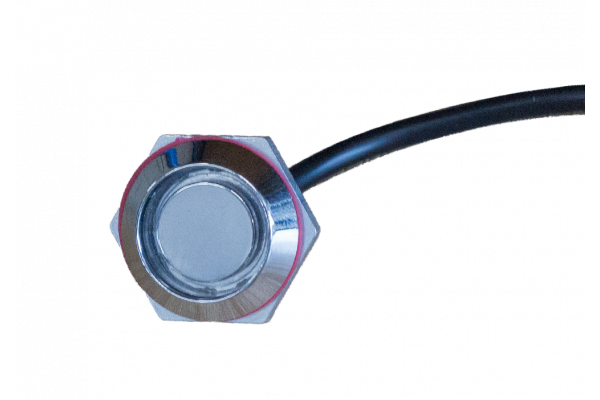 PLEASE NOTE: The iButton Reader is Water resistant (but not recommended for use in extreme environments, since the materials are not corrosion-resistant enough over long periods of time) In this case, we recomment the 1-Wire Key Reader Outdoor. Connecting directions are now listed on the product.